Give the gift of beauty and wellness! 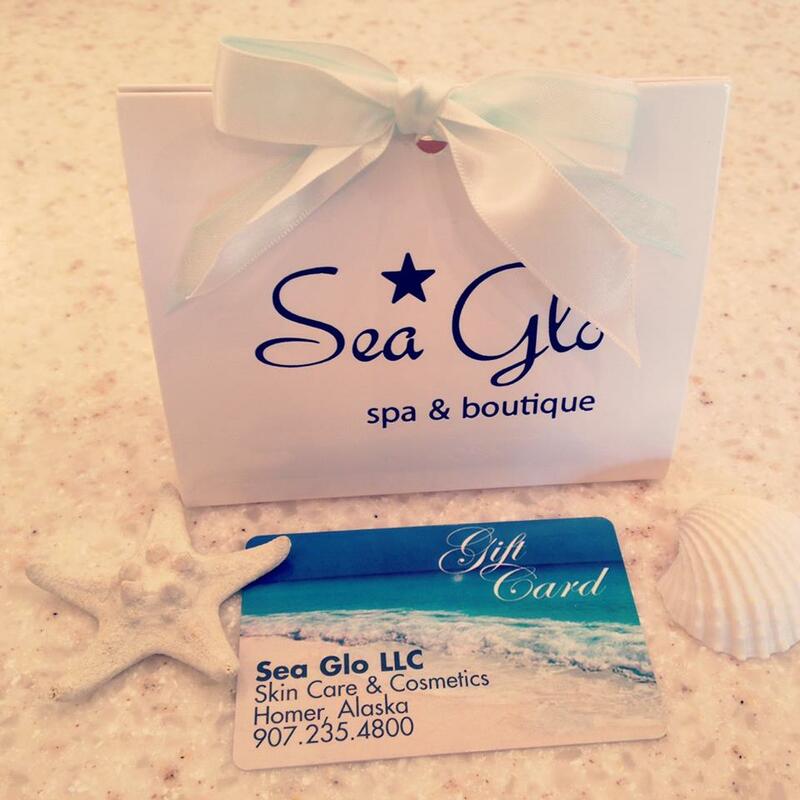 Gift cards from Sea Glo are always a wonderful present -- they can be used for any product or service in the spa and boutique, and have no expiration date! They come beautifully wrapped with coordinating tissue paper, ribbon and a menu of services. Call ahead to our front desk at (907) 235-4800 and we'll have it ready for you to pick up! Gift cards are like cash and must be presented at checkout in order to be redeemed.